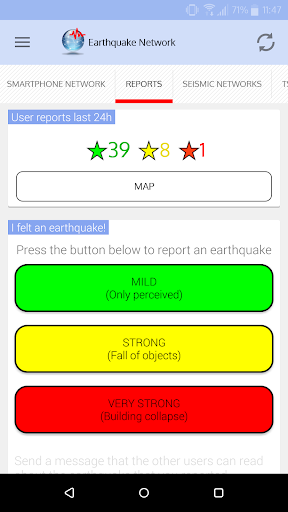 Earthquake Network is the most comprehensive app on earthquakes and for most countries of the world it is the only earthquake early warning system. The Earthquake Network research project does not receive external funding. 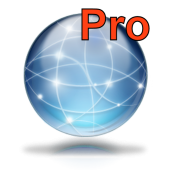 By purchasing the PRO version you support the project and its continuous improvement to provide a fast and reliable service. Thank you! 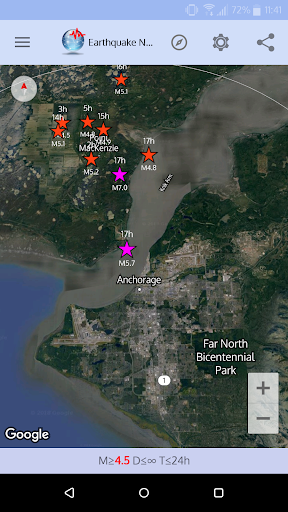 The Earthquake Network app allows you to receive the real time alerts of the earthquakes detected by the network, to manually report an earthquake you felt and to chat with other people during an earthquake emergency. 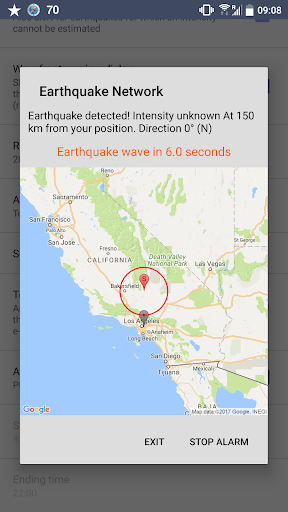 When an earthquake is detected in real time near your location, the app can send a automatic SMS and e-mails to a list of contacts with your precise position in space. This can be useful for rescuing without the need of user interaction with the app. You can also send a request of help or you can say that you are fine with just one click. 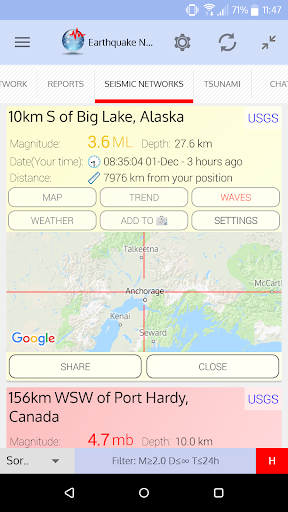 The app also shows information on the earthquakes detected by the national and international seismic networks. Note that the information on earthquakes detected by national and international seismic networks is usually published with a delay ranging from a few minutes to many hours, depending on the seismic network. Libraries updated. Added chat migration support to the app Calamity.